The 3rd Annual White Rock Elementary Health and Fitness Night was a great success! We had 19 vendors and 4 interactive performances. The theme this year was “Preventive Wellness” and the vendors reflected this theme. White Rock Elementary’s Wellness team hosted the event and planned out the details. Students had many incentives and prizes sponsored by the vendors, our PTA, and the Healthy Zone School grant. Students making their own healthy snacks (21 Day Challenge/Medical City). Workouts with Camp Gladiator, D1 Dallas, Rays Karate and CrossFit Kids. Gaining first-hand knowledge from local health representatives. Every vendor had an activity for each student/family to participate in. 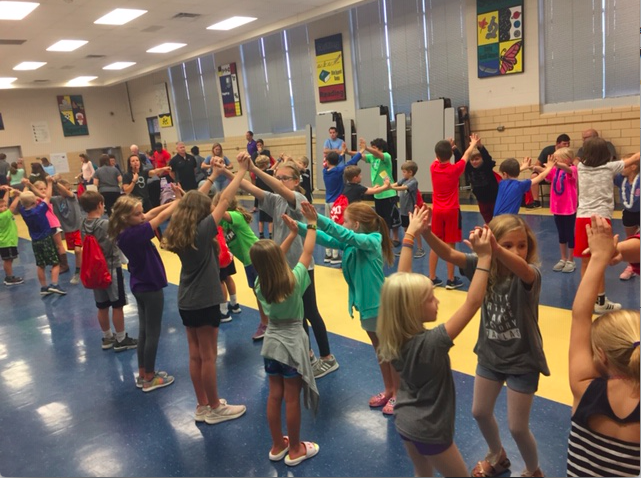 The WRE Health and Fitness Night has grown every year and gives us a chance to make connections in our community. We have found that through these connections our kids benefit. Some of the vendors are now partners with the school and help run after school fitness programs. These are some of the reasons we consider the event to be so successful. Through the Healthy Zone School grant we have been able to create an event that has been impactful and intentional. With our focus on building relationships and connections with our students and community, this event fits perfectly. WRE Health and Fitness Night has been a highlight for the last several years and we look forward to keeping the tradition going.